By choosing high-quality real estate investment opportunities in Trujillo, Honduras, you can achieve a significant return on your investment. To help guide you through the available options in the marketplace, we’re highlighting our villas, as the latest best value deal in Trujillo, Honduras real estate. Our full selection of villas includes 107 properties, each divided into three locations and into three styles. The location options include Marina Villas that back onto our 22-boat marina, The Reserve, which includes villas less than 250 meters from our white, sandy beaches, and Seaside Villas, which are directly on the beach and offer prime ocean views. 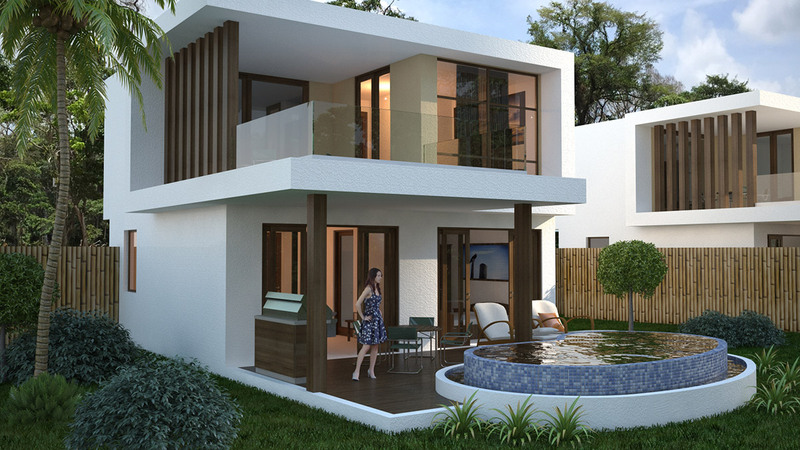 The full selection of villas includes 2-bedroom split levels, 2-bedroom villas, and 3-bedroom properties. Those who wish to keep fit while enjoying our ocean-side location will be able to enjoy our state-of-the-art spa and gym directly within the community. The spa and gym offer numerous opportunities to enjoy a workout program as well as to relax alongside trained masseurs. Another great way to keep fit is to utilize the community tennis courts. Here, you’ll benefit from high-quality courts designed to keep you in optimal playing condition while you enjoy your time in Trujillo. Another great addition to the community is the community pool, which offers a cooling and refreshing resting point on those warm Honduras summer days. Those buying a villa within the resort will discover the location is just a few miles from the closest restaurants and stores. There’s also a hospital a short distance away from the community, ensuring the ideal level of comfort for all families. One of the key reasons behind the success of NJOI Trujillo in recent years is that we’ve been able to offer luxury living experiences while reducing the cost of villa ownership. Buyers purchasing Honduras real estate at NJOI Trujillo Beach Residences will discover properties priced as low as $149,000. To discover more about the NJOI Trujillo Beach Residences villas, contact the trusted team at NJOI Trujillo today. Discover Affordable Home Rentals in HondurasWhy Choose Caribbean Real Estate Through NJOI Trujillo?